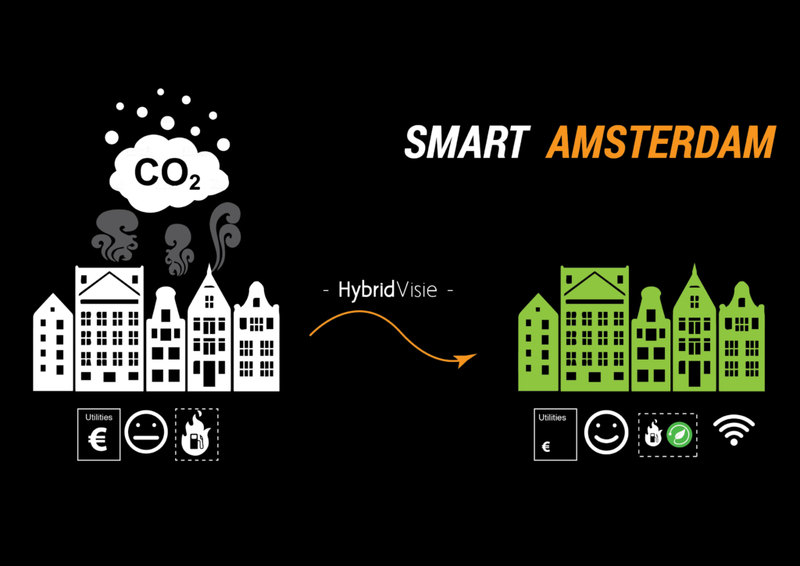 Clean energy generation – Our suppliers include truly transparent solar window companies which can cover the facade of old & new buildings in the city of Amsterdam replacing the existing transparent windows. This will not affect the aesthetics of the city and the historic value will be preserved. 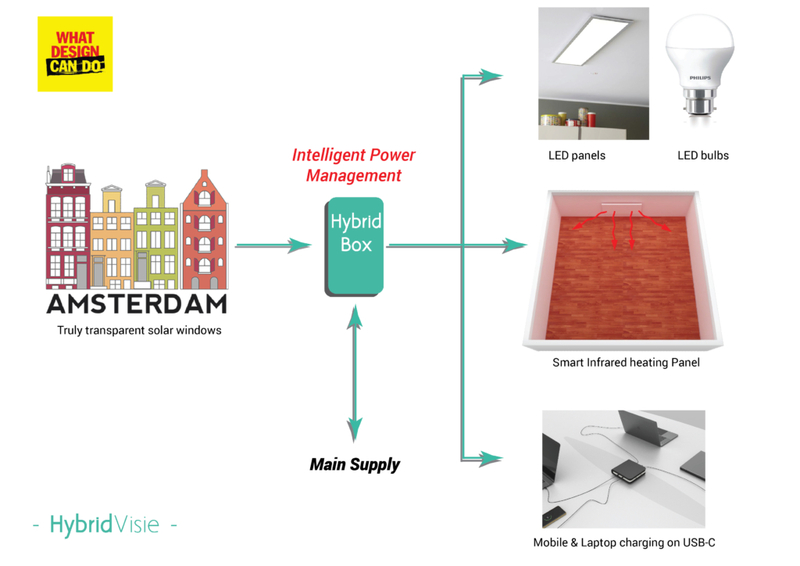 Hybrid Box – Our smart product is the heart of the solution which acts as an interface between transparent power windows and electrical appliances. Electrical appliances- The electrical appliances consist of aesthetically appealing & intelligent infrared heating panels, LED lighting and laptop/mobile charging stations. These appliances are powered directly through the Hybrid Box, thus avoiding extra power conversion. With the use of the smart heating panels, the energy required for heating will be reduced by 40%. Thus, the consumption of gas would be almost halved. Our product can help achieve 15 – 20% electricity savings and up to 25% reduction of the initial investment cost. It will also maintain the aesthetics and the historic value of buildings, increase the clean energy production and reduce the gas consumption by electrically heating through infrared panels.